The following NeWGS members have been recognized by their peers for the outstanding contributions that they have made to our Society and to the research community. for her dedicated volunteerism for the many years she has been a member of NeWGS, including serving as recording secretary from 2001 to 2018. 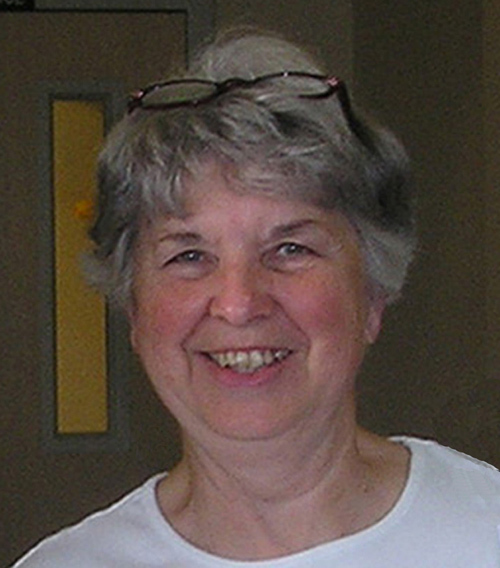 Since becoming a member of the NeWGS in 1994, Ms. Wilson has been a willing volunteer in many projects including indexing Territorial and State census records for the Wasington State Archives project, copying and indexing Chewelah church records, and helping to organize and set up for fall workshops. She, along with her late husband, Roger Wilson, also helped with the annual clean-up and restoration of Evergreen Cemetery. Sharon is a hughly respected and valuable, longtime member of the NeWGS and richly deserves this recognition. for her dedication to the preservation of a local pioneer cemetery. 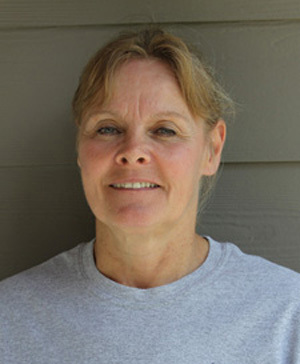 Since joining in 2014, Ms. Yost has been involved in the clean-up and maintenance of Evergreen Cemetery in Colville, a local pioneer cemetery established in 1868. She is a favorite speaker at NeWGS meetings, and has been a member of the board of directors serving as member-at-large and currently as librarian. As librarian, Ms. Yost has used her talents to design outstanding displays for National Family History Month. She is also a gifted seamstress and has personalized NeWGS vests by embroidering their names on them. Ms. Yost is a respected and diligent member of the NeWGS, and richly deserves this recognition. for providing outstanding genealogical services of importance and value to researchers interested in the Stevens, Ferry and Pend Oreille counties area. 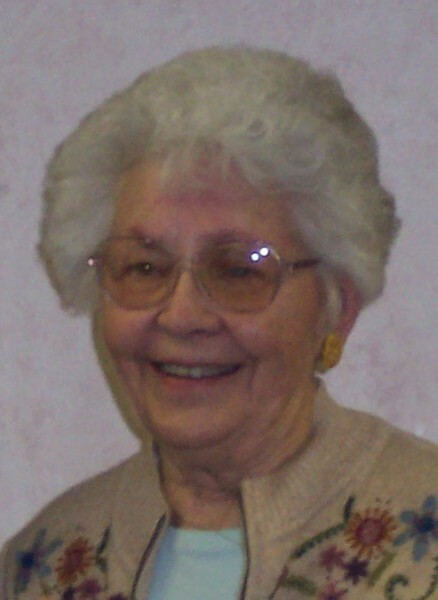 She has made significant contributions to the society beginning in 1986 with her involvement in indexing birth, marriage and death records of Stevens and Ferry counties. 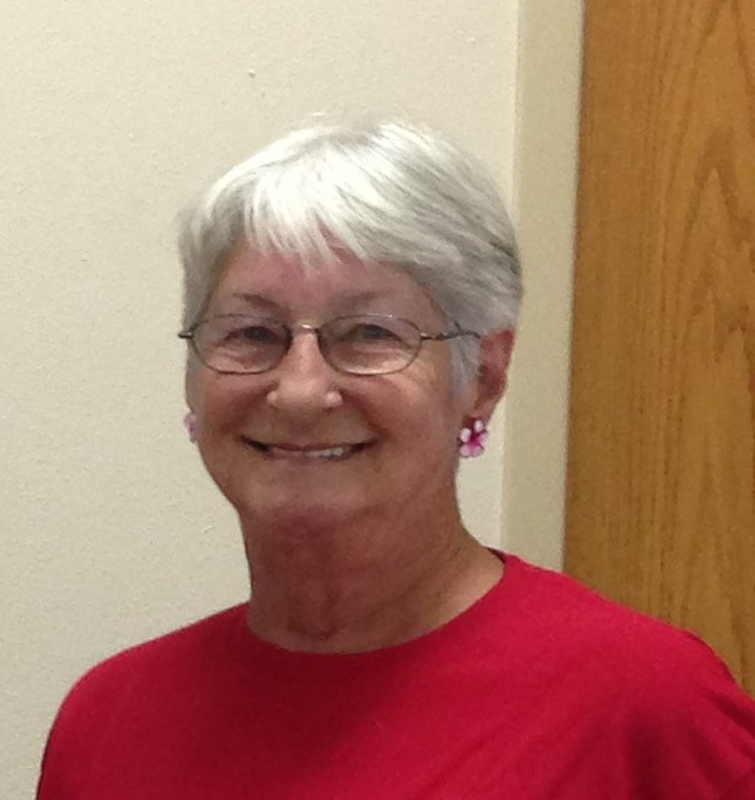 Since then she has helped with the annual clean-up of Evergreen Cemetery, been involved in courthouse research through the years, taught classes on using land records, participated in numerous indexing projects and has served on the board of directors of NeWGS in several different capacities.. 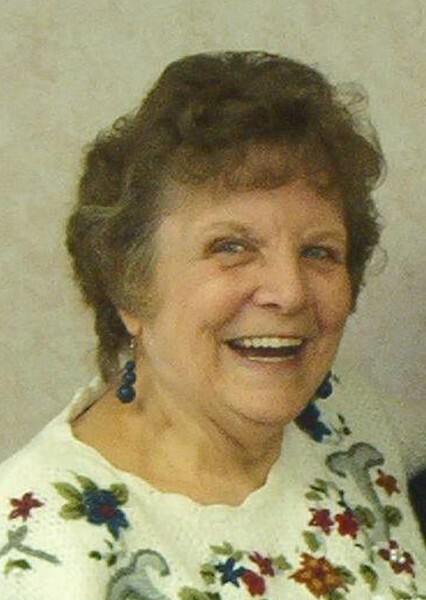 Her most recent contributions have been in the extracton and indexing of local courtouse records adding more than 4,000 entries to NeWGS databases. She is a respected and valuable, long-time member and richly deserves this recognition. 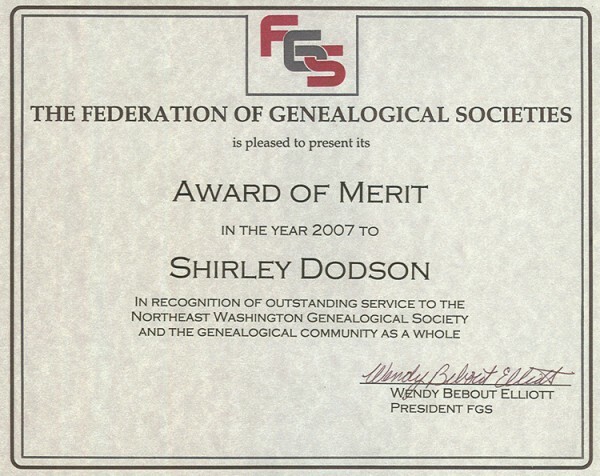 in recognition of her significant and sustainable contributions to the Northeast Washington Genealogical Society, since joining in 2006, with her involvement in the scanning, extracting and indexing of various records, Evergreen Cemetery clean-up, committee work, and serving on the board of directors as our FGS Delegate. 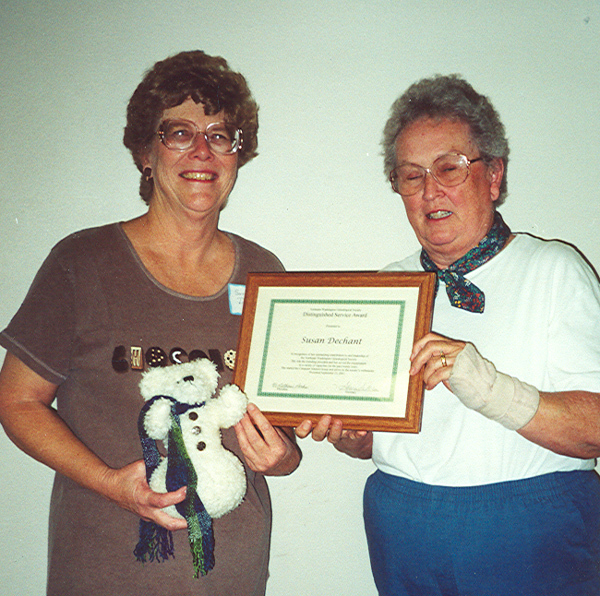 In commemoration of the 30th anniversary of the founding of NeWGS the society awarded a Lifetime Membership to Susan Dechant, founding president and webmaster of NeWGS, GenWeb Coordinator for both Stevens and Pend Oreille Counties and premier researcher for NeWGS. 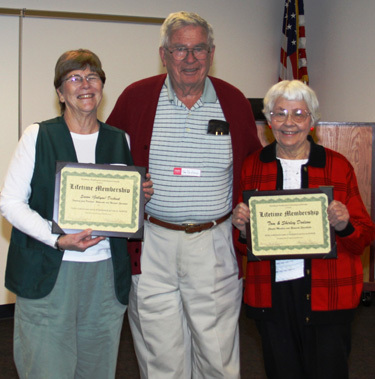 Additionally, the society awarded Lifetime memberships to Tom and Shirley Dodson, founding members of NeWGS for their dedicated efforts to collect, preserve, index and share Stevens County history. 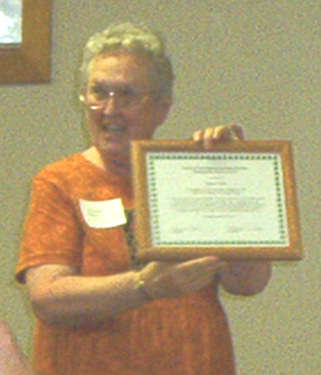 In recognition of her significant and sustainable contributions to the Northeast Washington Genealogical Society beginning in 1986 with her involvement in vital record indexing, Evergreen Cemetery clean-up, committee work, book sales, courthouse research and serving on the board of directors as corresponding secretary and Member-at-Large. Also presented to her husband, Sid Bardwell, a Certificate of Appreciation In recognition of his dedicated participation in the ongoing restoration projects at Evergreen Cemetery. His heavy equipment operating skills have been invaluable. 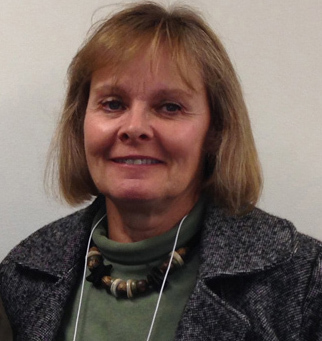 Karen Struve has been a member of Northeast Washington Genealogical Society since 2003. 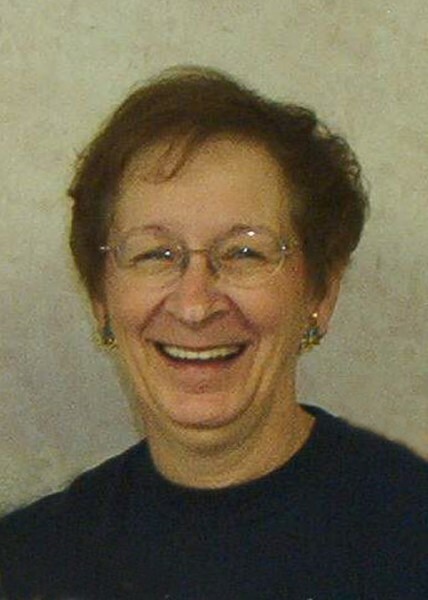 She took an active part in the Society as Delegate to the Federation of Genealogical Societies, and she accepted the office of Society President in October 2009. Since then, she has taken on many responsibilities not necessarily required of the person in that office. She regularly teaches classes, both computer and beginning genealogy, and has helped with major records extraction projects of the Society. She helped to launch the new, “improved” website for the Society in December 2010 and has taken on the job of assistant webmaster. She takes an active part in organizing the Society’s participation in public events and helps to plan our annual workshops. 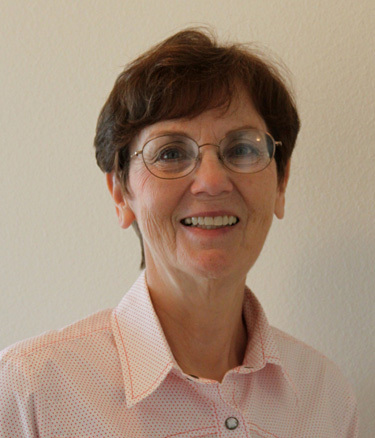 Karen’s energy and leadership skills have been a definite asset in helping Northeast Washington Genealogical Society to advance its original purpose and expand the professional ideals of genealogy among its members. recognizes Lora Rose for her involvement in several very complicated records extraction projects. Her eagerness to help is refreshing and she's not afraid to tackle tough problems. When she takes on a project, she sees it through to the end in record time and does an exemplary job. Among others, she worked on two huge projects which involved extracting early church records of Stevens County, and another project which involved imaging and extracting some of the earliest school records of the county. These extracted records become available to local and distant researchers through Society databases or publications, or the county pages of the state “GenWeb” system. Lora is so energetic and dependable she is truly "one of a kind," and we very much appreciate her, as do researchers all over the world who benefit from her efforts. 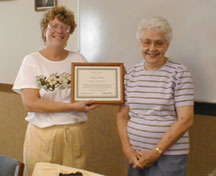 recognizes Nancy Wright for her critical support for the mission of the Society serving as NeWGS librarian since 2005. 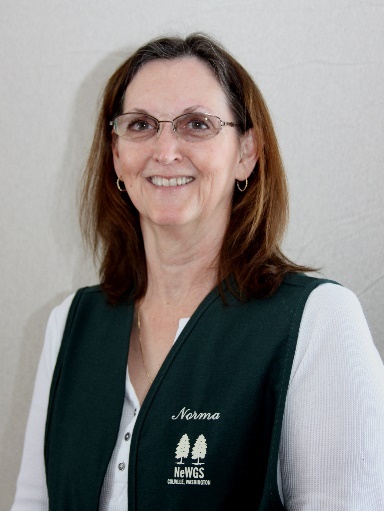 Nancy has contributed greatly to the organization of the Society’s library collection and has established a good working relationship with the local library where that collection is housed. Her recommendations have made more of the collection available to a larger number of local residents and visitors to the Colville area. Nancy has also used her talents to design outstanding displays for public events which help to promote the Society’s activities. Nancy Wright’s talents and willingness to serve the Society in this important outreach function is greatly appreciated. recognizes Gordy Struve his contributions to the Northeast Washington Genealogical Society’s special project for restoration of the Evergreen Cemetery, a pioneer cemetery established in 1868 just north of Colville. 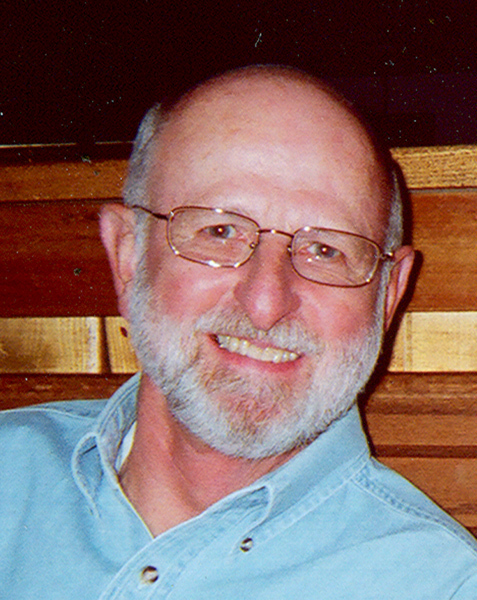 Gordy has served as chairman of that project for a relatively short time, but in that time he and his volunteers have accomplished much. The cemetery has never looked better, and the work in identifying graves has helped descendants of those buried there to locate their relative’s burial site. Gordy has also been very supportive in helping to extract and digitize other local records for easier access by researchers. 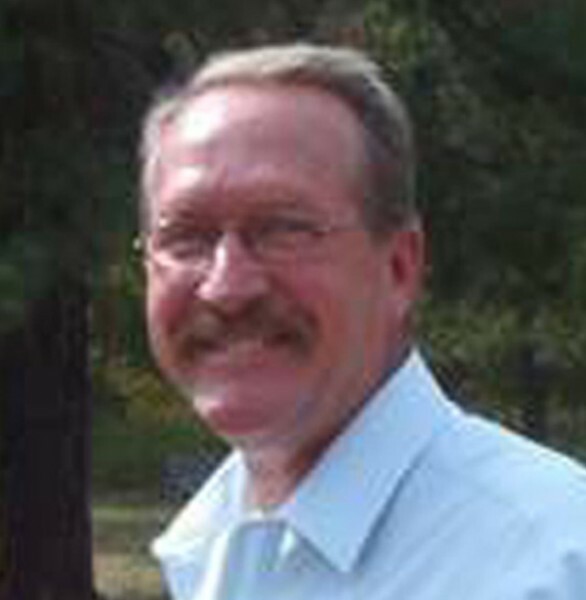 Gordon Struve’s talents and leadership skills are making a positive impact on the Society and the community. recognizes Shirley Dodson for her outstanding efforts to preserve and share records of Stevens County. She has worked diligently and tirelessly for over 20 years to extract, transcribe and index local records to make them easier to research. Newspapers, courthouse records, school records, local histories, etc., all have come under her scrutiny. Thanks to her dedication, the NeWGS databases are approaching 400,000 entries. This has been a team effort but Shirley’s early foresight and imagination got the project rolling and has kept it going. Many people all over the world have benefited from her dedication to sharing local history. 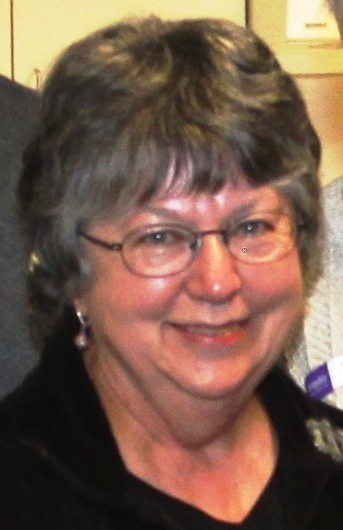 recognizes Sue Witham for her outstanding effort to index local funeral home records; thereby simplifying research for the Northeast Washington Genealogical Society research team. She has extracted almost 9,000 handwritten records for Colville and Chewelah. 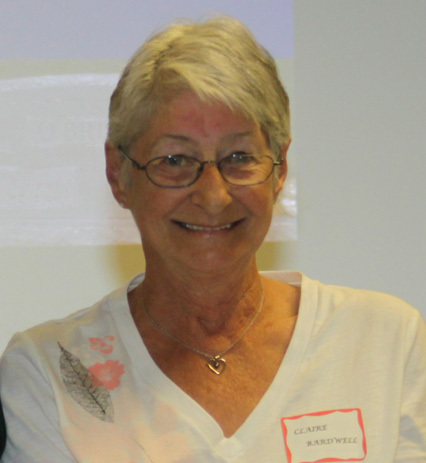 Sue has been an active member of NeWGS for many years, serving as Treasurer since 1997. Her contributions are greatly appreciated not only by NeWGS but by the many people who seek information on their ancestors who died in Stevens County. recognizes Doris (Kilcup) Winskie of Chewelah, Washington, for outstanding service to NeWGS. She has served as Treasurer (1989-1993) and President (1993-1995), and, since 1996, is currently the Editor of the Society’s quarterly. Under her leadership, “Pioneer Branches” has become an award-winning publication. Besides coordinating what goes into the quarterly, she is constantly on the lookout for local records to include, and also sees that it gets printed and distributed. Doris also teaches beginners classes, fills in as instructor as needed for our Computer Interest Group, and spends many hours helping people with their research, especially as pertains to the Chewelah area. Her dedication to the Society is very much appreciated. 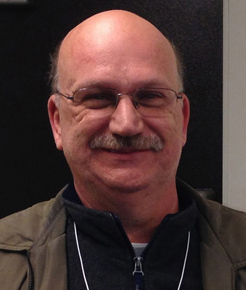 recognizes Roger W. May of Colville, Washington, for outstanding efforts in the preservation of important records of genealogical value to the Northeast Washington Genealogical Society and other researchers interested in the families of Washington State. 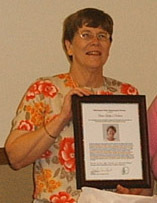 Lethene Parks, a member of the Society since 1990, served two terms in the capacity of President and one term as Vice President. She also served as our Society Librarian for many years, wrote articles for our quarterly, and did an outstanding job wearing the hat of Teacher. Her expertise in so many areas of genealogical research and her willingness to share it, has benefited all of our members through the years. Since her move to the coast in 2004, she has been greatly missed! An occasional visit perks us up, though!! Shirley was a founding member of the Society and served two separate terms as Corresponding Secretary. Undoubtedly her outstanding contribution has been in the collecting, preserving, indexing and sharing of Stevens County history which has benefited (and will continue to benefit) more than the Society. Countless researchers from all over the world have found their ancestors due to Shirley’s efforts, and will continue to do so long into the future thanks to her dedication and foresight. 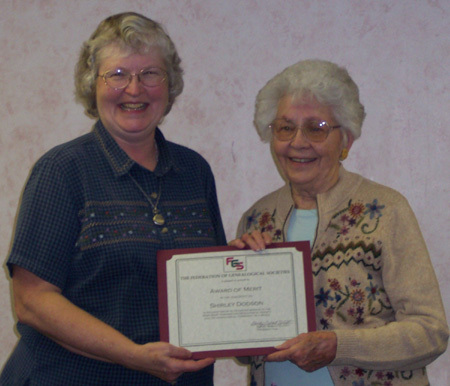 In recognition of her outstanding contribution to and leadership of the Northeast Washington Genealogical Society. She was the founding president and has served the organization in a variety of capacities for the past twenty years. She started the computer Interest Group and serves as the society's webmaster.